The law firm has been built since its foundation as a team of professionals providing legal services not only in the general areas of law but also in specialized areas of law such as customs, tax or forwarding law. Due to our specialization, we are able to provide our clients with complex legal protection taking into account the particularities of the different branches of law. When dealing with a case, we do not take into consideration exclusively the legal aspect, but consider possible tax or financial impacts on the client´s situation as well. 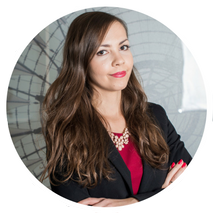 We are a partner for our clients also in cases crossing the territory of the Slovak Republic or the European Union, respectively. In such cases, we cooperate with law firms in the given country. Our office is, inter alia, the founder of CLG group, which brings together law firms providing tax or customs consulting to clients of the V4 countries. The essential characteristics of each member of our law firm is in addition to high professionalism also the ability to work in a team. As a result, we are able to form a specialized legal team combining specific knowledge of its members, which provides complex legal services to its clients in order to resolve even the most complex legal cases in favour of the client and within a reasonable time. 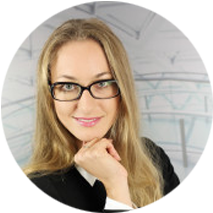 One of our aims related to the provision of legal services is to be as close as possible to our clients, and therefore we are gradually establishing a branch network in other regions, in addition to the office in Bratislava, Trnava and Nitra. We deeply appreciate that our clients entrusted the protection of their interests in the hands of our law firm. 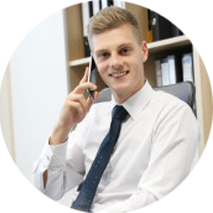 We return the given confidence by proper and professional provision of legal services with a high level of expertise and long-term experience. Our aim is to be a strong and reliable partner for our clients all the time, even in the most difficult situations. JUDr. Maroš Prosman is a graduate of Faculty of Law at Comenius University in Bratislava, where he finished his studies in 1998. After finishing the studies and military service, he worked 7 years in customs administration at various positions of a second-instance authority, including leading positions, where he decided on remedies of first-instance authorities, participated in the European Commission committee meetings, elaborated legislative proposals and methodically directed the application practice. 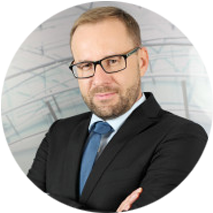 After finishing the practice he founded his own law firm in 2008 and in 2010 he became the executive officer and partner of the law firm Prosman a Pavlovič advokátska kancelária, s.r.o. JUDr. 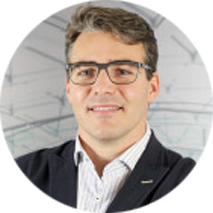 Maroš Prosman specializes, within the work of the law firm, particularly in consulting and representation in the area of customs, tax, transport and forwarding law, but he also covers the most demanding legal cases of civil and commercial law. 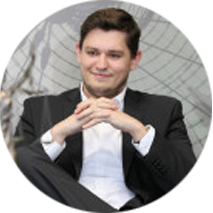 As executive officer, he manages and represents the law firm externally. JUDr. 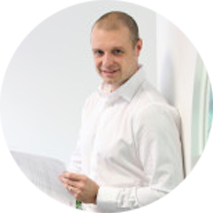 Maroš Prosman provides legal services in Slovak, English and German language. JUDr. Tomáš Pavlovič is a graduate of Faculty of Law at Comenius University in Bratislava, where he finished his studies in 2000. After finishing his studies he worked for several years as a lawyer or representative of various entities of private and public law, including bank institution in insolvency or enforcement proceedings, respectively. 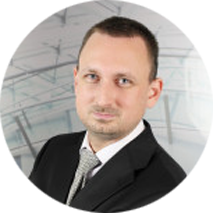 His legal practice includes 5-year experience with provision of specialized legal support regarding project financing and large investment projects in bank sector/bank institution with its registered seat in the Slovak Republic. JUDr. 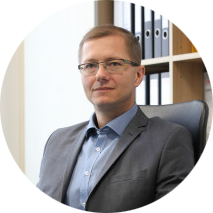 Tomáš Pavlovič has been working in the law firm Prosman a Pavlovič advokátska kancelária, s.r.o. since 2010 and is currently its executive officer and partner. JUDr. 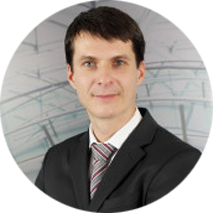 Tomáš Pavlovič focuses on provision of complex legal consulting in the area of commercial, civil, bank, forwarding and agricultural law. 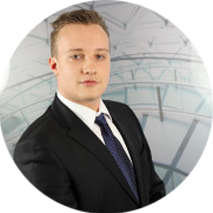 He personally deals with the most difficult and significant transactions with regard to his expertise, including representation of clients in proceedings before courts and other authorities. He secures the communication with clients and competent authorities in matters related to the law firm. JUDr. 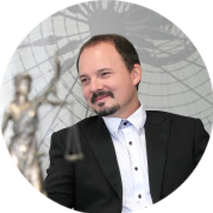 Tomáš Pavlovič provides legal services in Slovak, English and German language. 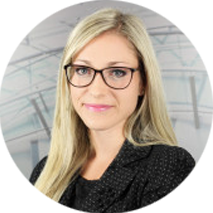 2018 – present lawyer cooperating with Prosman a Pavlovič law firm, s.r.o. 2001 Faculty of Law, Comenius University/, Bratislava – title Mgr. 2003 Faculty of Law, Comenius University/, Bratislava – title JUDr.